Inspired by Cormac Mc Carthy´s novel ‚The Road‘, the two Norwegian masterminds Haerleif Langas and Jan Roger Petterson joined forces to create this stunning split album. 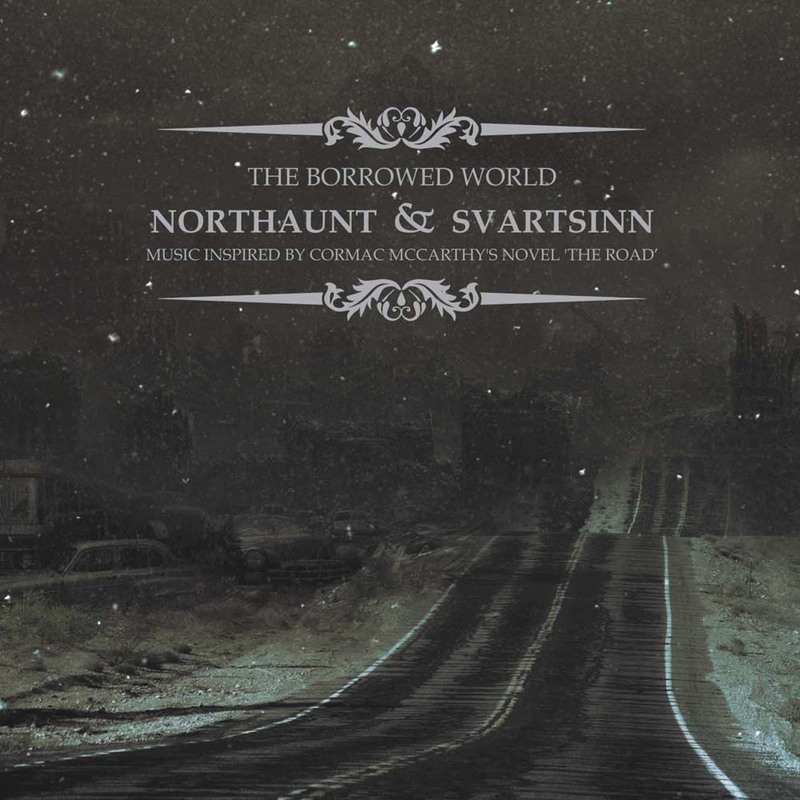 This release brings finally new recordings since Northaunt´s ‚Horizon‘ from 2006 and Svartsinn´s ‚Elegies for the End‘ from 2009 (both CDs released on Cyclic Law). ‚The Borrowed World‘ is the soundtrack for a world in decay, directed by the emotive and grandly melancholic signature of both projects. This is isolationist ambient music that unfolds its meditative atmosphere with majestic and melodic waves of droning sounds, environmental field recordings from the icy landscapes of the deepest North and magnificent Cello recordings of Amund Ulvestad. The ashes of the late world carried on the bleak and temporal winds to and fro in the void. Carried forth and scattered and carried forth again. Everything uncoupled from it’s shoring. Unsupported in the ashen air. Sustained by a breath, trembling and brief. If only my heart were stone. The vinyl version comes in gatefold cover and includes the CD as well in slip case. Limited to 300 copies. The regular CD edition comes in 6-panel digifile. 1. ‚If Only My Heart Were Stone.‘ Music by Northaunt. Recorded Jan.2011 – Sept.2013. 2. ‚Ashes Of The Late World.‘ Music by Svartsinn.